A high-energy, highly palatable textured grain concentrate for mature horses. Grain products, plant protein products, processed grain byproducts, molasses products, monocalcium phosphate, calcium carbonate, potassium sulfate, magnesium sulfate, salt, corn oil, zinc sulfate, zinc oxide, ferrous sulfate, manganese sulfate, copper sulfate, ethylenediamine dihydriodide, cobalt carbonate, sodium selenite, vitamin A supplement, and vitamin D3 supplement, vitamin E supplement, menadione sodium biosulfite complex, choline chloride, riboflavin, calcium pantothenate, niacin, biotin, folic acid, thiamin mononitrate, pyridoxine hydrochloride, vitamin B12 supplement, zinc proteinate, manganese proteinate, copper proteinate, yeast culture, natural and artificial feed flavors. Formax 10% Textured is designed for mature horses where good quality pasture and/or hay is available and nutritional needs are for maintenance. 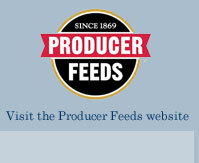 Feed at the rate of 0.5 – 1.0 lbs. per 100 lbs. body weight daily split into two or three feedings. All Formax horse feeds should be fed with liberal quantities of good quality hay and/or pasture and free-choice mineral-vitamin mix. Provide clean, fresh water at all times. Store feed in a clean, dry place protected from insects and rodents. 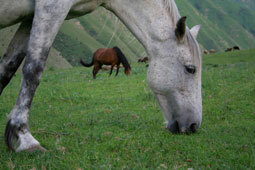 Never feed moldy or insect infested feed to horses as it may cause illness, abortion or death.